NFL Lockout vs. NBA Lockout: Which One Will Have A Larger Impact on Sports? The NFL lockout is nearing that critical point where the possibility of a shortened season is becoming more and more of a reality. The NBA, on the other hand, is just beginning their lockout and has until approximately the end of October to come to an agreement before games will be missed. If both the NBA and the NFL miss games, it will be disastrous for sports as a whole. But can we get by if even one of them continues with the lockout? To put it simply, the owners and the players cannot come to an agreement on how to share the money that is made off of the games. The owners are claiming that their teams are losing money, due in large part to the percentage of revenue that the owners are required to pay as salary to the players (the owners want to pay an estimated $1Billion less towards player salary under the new terms). Thus far, the owners have been able to provide very little proof that teams are losing substantial amounts of money, which is delaying the player’s decision to accept the new terms of a bargaining agreement. Other minor reasons for the lockout include the proposal of a longer season and a proposed reduction in the healthcare benefits for the players. The NBA lockout is happening for very similar reasons, although in the case of the NBA, it seems that the owners have a little more proof that teams are losing money. According to reports, 22 NBA teams were in the red this past season, many of them in small markets who most likely won’t have a chance to recover unless changes are made. Since the NBA lockout is relatively new, not a lot of progress has been made towards reaching a new agreement, but there are basically two options. The owners of teams that made money can share revenue with the teams who lost money or all the league’s teams can pay the players less. Which one do you think the owners will go for? 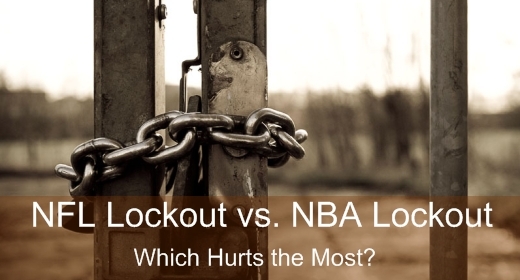 Bigger Impact: NBA Lockout or NFL Lockout? In my opinion, the NFL lockout will have a bigger impact on the fans, players and professional sports landscape. 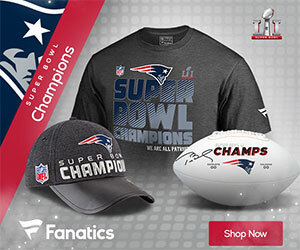 In terms of fan entertainment, football is the most popular sport in America, with more money and fan loyalty being pumped into NFL teams than any other sport. Combine the popularity with the fact that they only play 16 games, and you can see that the impact of missing just one of those games is huge. Each game missed will mean a loss of over 12% of the home team’s yearly ticket sales and concessions profits. The NFL is also getting a tarnished reputation, more so than the NBA. Basketball has at least shown that more than half of its teams are losing money, a legitimate cause for concern. At best estimates, only 25% of NFL teams posted negative profits last year, which shows quite a bit of greed on the part of the owners. Don’t get me wrong, the NBA is going to be majorly impacted by the lockout, but the NFL stands to lose a lot more money and favor with the fans, the longer this lockout continues. Will NFL or NBA Games be Missed this Year? According to NFL league sources, the Hall of Fame Game is still scheduled to move ahead in early August, indicating that they hope a deal will be made before the start of the season. Fans, however, are less optimistic that an agreement will be reached. Every day we hear that talks are moving forward, but after over 100 days, an agreement has yet to be reached. I think that we will see at least a shortened 2011 NFL season, but there will be football this year. The NBA’s situation is still too soon to tell. Their lockout is hardly a month old, and while an agreement must be reached by October to avoid missing games, I think that it will take longer than that. A shortened 2011/2012 NBA season is a very real possibility especially because the NBA owners are in a much more difficult situation than the owners in the NBA. Regardless of whether one or both leagues lockout partially or completely, the entire situation is a black eye for professional sports. It really showcases the greed and mismanagement of league owners in both the NBA and NFL. Sure, the players make a lot of money, but they shouldn’t be the ones to blame for teams losing money. Next Post:What is the Greatest Team Position in Baseball History?